Stars Glow, Waters Flow. 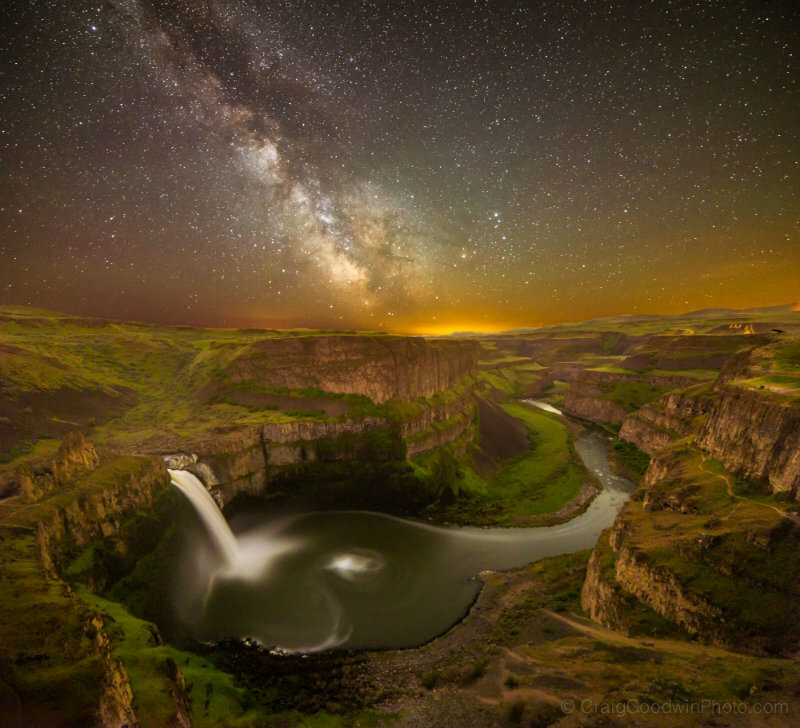 The Milky Way glows over Palouse Falls in Washington State. This image was created using a 25-second exposure for the stars and then exposing the canyon for around ten minutes to create a composite. Every day here at National Geographic, our photo editors look through somewhere between 4,000 and 8,000 images that are uploaded to our photo community, Your Shot. Of those images, 12 are selected to shine in what we call the Daily Dozen. And from those photos, only one is chosen. And by chosen, I mean voted on by you, the community. That photo receives the Top Shot honor. Electric Bluebottle. 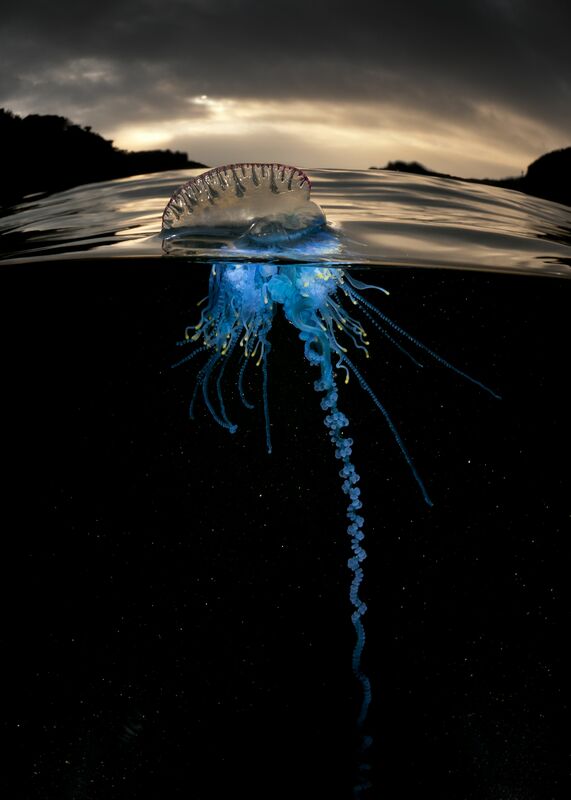 A Portuguese man-of-war (Physalia physalis), also known as a bluebottle, peeks out from beneath the waters of Shell Cove in New South Wales, Australia. Photographer Matthew Smith experimented with many lighting techniques before getting the exposure just right with fiber-optic snoots on his underwater flashes. See more Images via The Best Photos From Your Shot: Drama, Drama Underwater | PROOF. ← The Fiery Kilauea Volcano.